How do I view the To Do list in the Teacher app on my iOS device? 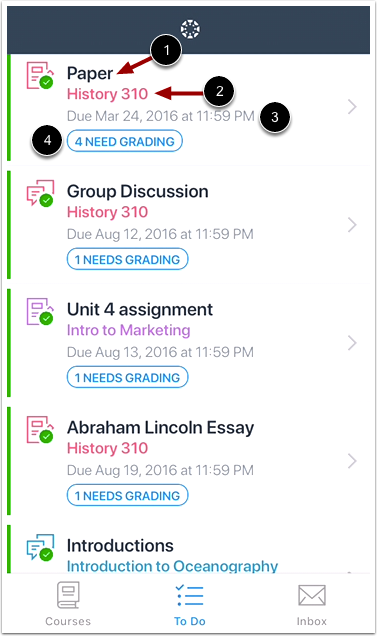 In the Teacher app, you can use the To Do list to view and grade ungraded submissions in all your courses. To Do list items include assignments, discussions, and quizzes. Once you have graded all submissions in a To Do list item, that item will be removed from the list. Note: The images in this lesson are shown for a phone display, but unless otherwise noted, tablet displays mirror the same steps. In the Dashboard, tap the To Do icon . If the icon includes a numbered badge , the badge the number of items that need grading for all assignments. The To Do list shows the items that require grading in all of your courses. 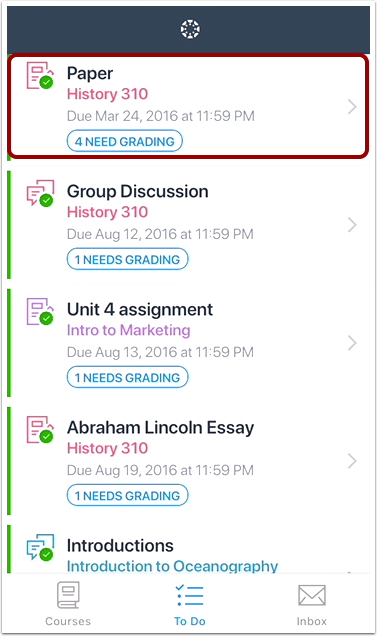 Each item displays the assignment title , course name , due date , and the number of items that require grading . To begin grading submissions, tap the tap the name of a To Do item. 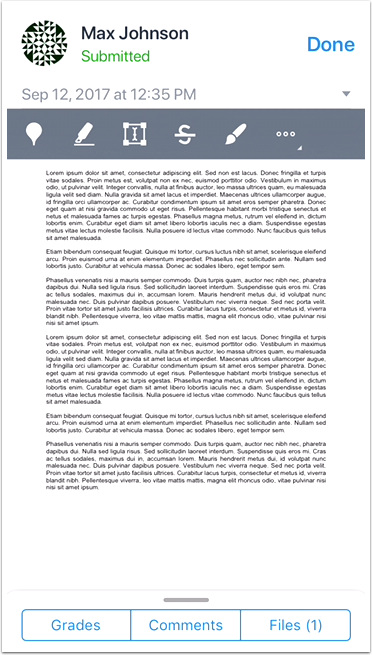 Use SpeedGrader to grade the submissions. 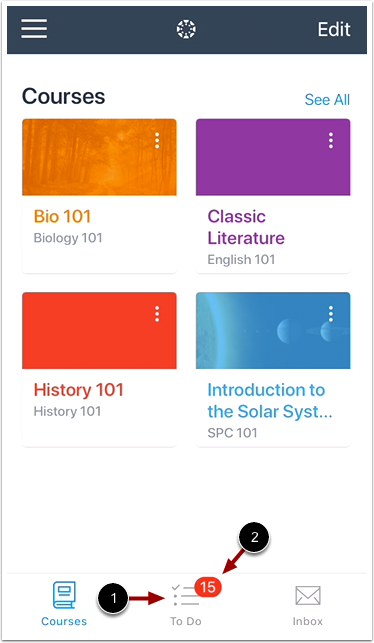 Previous Topic:How do I edit course settings in the Teacher app on my iOS device? Next Topic:How do I view the Conversations Inbox in the Teacher app on my iOS device? Table of Contents > Courses > How do I view the To Do list in the Teacher app on my iOS device?